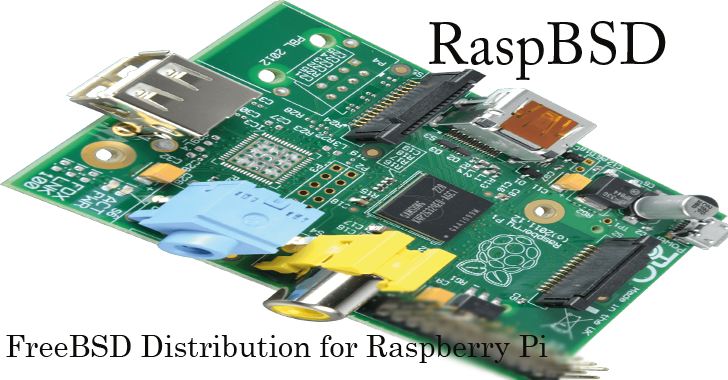 Raspberry Pi is gaining new heights by rapidly maturing as; after Microsoft made Windows 10 IoT core supporting the Raspberry Pi 2, now a new version FreeBSD operating system is also deployable on Raspberry Pi devices, called RaspBSD. FreeBSD (Berkeley Software Distribution) is an open source Unix-like advanced computer operating system used to power modern servers, desktops and embedded systems. Though FreeBSD-CURRENT has supported Raspberry Pi since November 2012 and Raspberry Pi 2 since March 2015, RaspBSD will support the Pi models B and B+. As Raspberry Pi is a full fledged ARM system, FreeBSD/ARM is contributing to the list of the third-party operating system which support Raspberry Pi. This is not an official release as yet, the FreeBSD developers have made an image (Beta version) available for the users to play around with the Operating System and give their feedback and suggestions for the issues they encounter. A stable, more robust and bug free FreeBSD/ARM is expected to be introduced as the official OS for Pi by FreeBSD organisation at some point of time, says the Raspberry Pi's official blog. Compiled with native FreeBSD GCC 4.2.1, tmps, 512MB swap partition with debug module off. "Keep in mind that this image is based on FreeBSD10-CURRENT which is the 'bleeding edge' of FreeBSD development and not ready for production yet," Tan says. As the new OS is not a stable release, the users may face some problems with network throughput, DMA, some packages not compile-able and High speed SD CARD issue to name some. To tag along with FreeBSD/ARM, NetBSD operating system also released a testing image for Raspberry Pi. This is indeed "The Power to serve," as the FreeBSD slogan says. You can download and play with the new OS from Raspbsd.org.